The France Show returns from 27-29 January 2017 at Olympia, London. 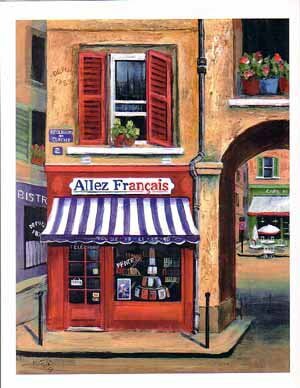 From 10am-5pm Friday and Saturday & 10am-4pm Sunday enjoy a great French day out in the heart of London! Tickets are now on sale for a new air service between France and the UK. Spanish low-cost airline Vueling has announced it will start flights between Paris-Orly and Birmingham Airport from March 2017. 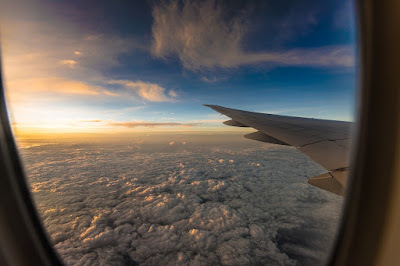 The first flight will take off on March 26, and it is expected that some 69,000 passengers will use the service in the first summer alone. The airline - part of the International Airlines Group which also owns British Airways, Iberia, and Aer Lingus - said the new service would operate four times a week initially, before increasing to six flights a week from June. Birmingham will become the second UK destination that the airline serves out of Paris-Orly, after it began flights to Edinburgh in March 2016. In May 2016, it also started a service to Gatwick from Charles de Gaulle. What could affect the euro in 2017? 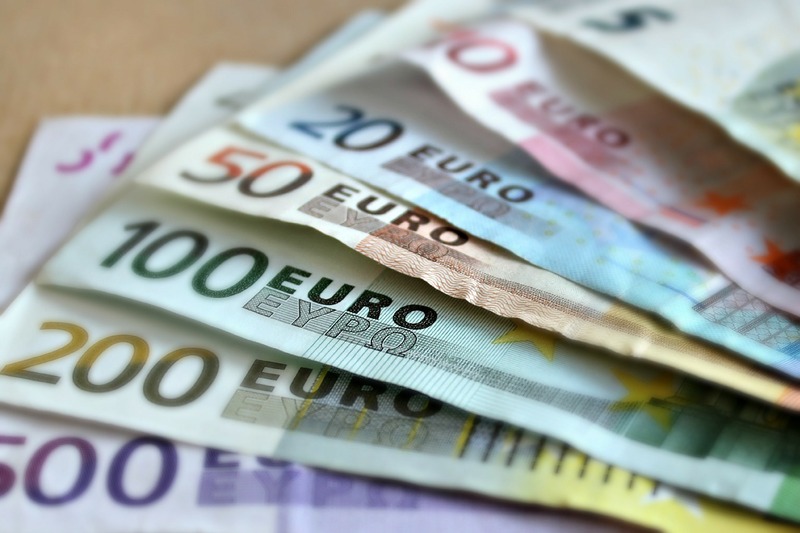 The euro has had a turbulent existence since its introduction to the open market between 1999 and 2002. In the early days, the single currency benefitted from a prolonged period of global economic boom and hit highs of $1.59 and £0.95 in 2008. The credit crunch of 2008/9 took its toll on the common currency and it fluctuated in the following years on news of bailouts, bond buying programmes and banking crisis’ from around the world until about mid 2014 when it fell considerably against its major counterparts. Since 2014, it has remained largely suppressed except when compared to GBP following the Brexit vote. A similar theme ran true on 4th December in Italy as constitutional reforms were voted down convincingly by the people. In contrast, on the same day, Austria voted down the anti EU far right Freedom party in their presidential election. Had the Austrian’s voted for Norbert Hofer, EUR could be going into 2017 considerably weaker. So what could affect the euro in 2017? Whilst no policy decisions will be announced on the day, the world’s press and investors will be looking for any indications given in Trump’s inauguration speech. The day itself is more about ceremony and the passing of power from Barack Obama to Donald Trump. However, January 20th officially marks the beginning of Trump’s time in the White House. Most presidents would look to release policy decisions officially through the correct channels. However, as we have seen so far from the President-Elect, can we expect to see some policies leaked in late night Twitter rants giving the market early indicators? What we do know is that during his election campaign, Trump won votes off the back of having an expansionary financial plan. The markets have moved already in preparation for expected higher spending and therefore inflation. Riskier assets (including European) have gained as investors seek higher returns. Could this be a return to the ‘Reaganomics’ of the 80s? In short, probably a more muted version, yes. Overall, assuming trade embargoes against the EU are not implemented, Trump will have a positive effect for the EU in 2017. Beyond could be a different question. The Dutch election in March is another landmark event in the European calendar that could put a nail in the EU’s coffin. The Party for Freedom (PVV) and its leader Geert Wilders are ahead in some polls currently. Mr Wilders would like to take the Netherlands out of the EU as soon as possible because of Angela Merkel’s ‘stupidity.’ Due to the Dutch voting system, he is unlikely to win enough support to form a government outright, leaving some kind of coalition situation. It is worth pointing out that Mr Wilders was put on trial for inciting racial hatred and discrimination because of his position against Islam. Although found not guilty, he is a highly divisive character. If he is voted in or is asked to form a coalition government, it will be negative for the euro as it creates uncertainty. We all saw what happened to the pound after Brexit. Theresa May has a self-imposed deadline to invoke Article 50. Once the process is started, sterling is expected to fall against the euro. Uncertainty over the uncoupling process will inevitably weaken GBP. This could go on for an extended period of time as negotiations are delayed by other countries having elections and other internal issues to sort out. The UK could find itself at the back of the queue. Similar to the Dutch election, any move towards the right could be seen as a negative for the common currency. Marine Le Pen, leader of the Front National, is expected to gain popularity but not enough to make an assault on the top spot. Should the vote go against Fillon, and Le Pen becomes President, it would be a seismic event for the EU, but not as bad as Merkel losing in Germany. Currently, the next Italian election is due in Q1 2018. However, Matteo Renzi has resigned following his defeat in the constitutional referendum that was held on Sunday 4th December. Although his resignation has not yet been accepted, a replacement needs to be found. Calling an election would be a shock to the system and add to the uncertainty already surrounding the Eurozone. Latest polling has the Democratic Party marginally ahead of Five Star Movement, an anti-establishment party with anti-EU sentiment. With the polls so tight and momentum building against Renzi and the Democratic Party, we could see another nation fall to the ‘vote for change’ agenda sweeping the globe. If the Five Star Movement were to win, expect to see a Brexit style referendum possibly before the end of the year. Germany is the undisputed powerhouse of the Eurozone. Any outcome in their election will have an accentuated effect on the single currency because of this. Angela Merkel and the Christian Democratic Union currently has a 10-15 point lead over the Social Democratic Party. Whilst there is an undertone of anti-Merkel and anti-EU feeling in Germany, the overriding sentiment right now is strongly in her favour. This does not look like it will be changing anytime soon unless the inflow of 1 million migrants in the past year comes back to bite her. Should the vote go against Merkel however, it would be disastrous for the single currency and the European Union as a whole. The ECB just extended its current bond buying programme to end in December 2017. With the EU in its current state, it is highly likely Mario Draghi will look to extend this again. Perhaps with some tapering on the amount of bonds bought every month. If he does, the euro will weaken as printing money reduces the value of the current currency in circulation. The Italian banking system currently has a huge hole that needs to be filled. The country’s biggest lenders’ books are full of Non-Performing Loans (NPLs). NPLs are loans and mortgages that have been given to companies and households with no way to repay them. The Italian banks have not yet written them off against their books but are estimated to be 45-50% of the original value. In July’s ECB stress tests of 51 major European banks, the hole is estimated to be €360bn in bad debts with Banca Monte dei Paschi di Siena the worst affected. With no solution currently in sight, this could bring the country to its knees. Especially if timed with a snap election. Conversely, if a solution is put in place it would support the euro. Greece’s current bailout regime ends in 2018 and will likely need extending. However, Greece is having issues accessing its latest phase of the current bailout funds agreed in August 2016. The Greek government are keen to access the funds and sell bonds before the ECB ends its bond buying scheme in March 2017. However, terms of the current bailout package stipulate the Greeks meeting certain commitment to reform the country’s finances. At a Eurogroup meeting on Monday, Wolfgang Schäuble, the German Finance Minister, revealed differences over how well Greece has done in meeting its commitments. If this round of funding is not agreed, Greece could be in severe financial difficulty. Many European countries still face huge structural issues such as high unemployment and financial difficulty. If a seismic event happens within the Eurozone, such as an Italian banking crisis or further Greek debt issues, there is still risk of contagion. This could spread like wildfire through the weaker European economies and destabilise the euro. 2017 will be a year of great change in the EU with many national elections and Article 50 being invoked by the UK. Buying opportunities will be created for investors all over the world. In fact, many investors will potentially look to rebalance entire portfolios to match the brave new continent. Opportunities will appear both in the foreign and the domestic markets. As we expect the market volatility to continue throughout 2017, it is important to stay in touch with your Foremost Currency Group Broker. Here at the Foremost Currency Group we can act as your eyes and ears on the markets to help you find the opportune timing to make the most of your currency. We have a number of different contract options to help safeguard your funds against adverse market movements. One of these being a Forward Contract whereby you can lock in an exchange rate for a future settlement date by simply placing a small margin against the trade. If you would like to speak with your professional, knowledgeable currency specialists please get in touch for a free, no obligation consultation. Tom Hampton is Head of Corporate Dealing at Foremost Currency Group and Foremost Markets. Tom is available to discuss any aspects of this article with readers. 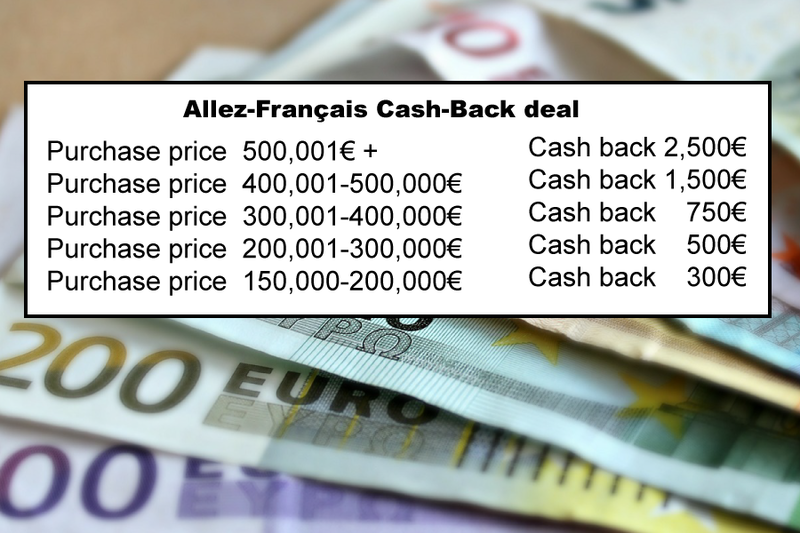 We appreciate that market conditions are difficult for some buyers, and therefore we are offering an incentive, in the form of a cash-back deal to encourage people looking to sign for their French house during the 1st half of 2017. So to increase your chances of benefitting from this deal, let us know in plenty of time ahead of your visit, so that we can schedule adequate time in our diaries, and send us links to your favourites (listed with other agents as well). We may be able to save you both time and money if we can “block book” viewings and save you travelling time to other agents. 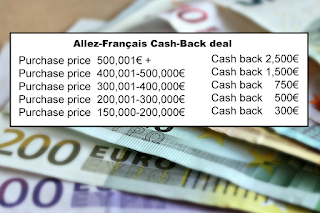 For example on one property that we have listed between 300,000 and 350,000, our price is already 2,500 € cheaper than rival agents and with the cash back offer for another 750 €, that makes a significant combined saving of 3,250 €. Worth having n’est pas? !